Considering I was late on providing a report on April and May, I have decided to take on three months in one go,as well as a Q2 overview for 2014. I’ve decided to do away with the usual disclaimer and rather direct people to read this post dedicated to how the tool works, its capabilities and its limitations. 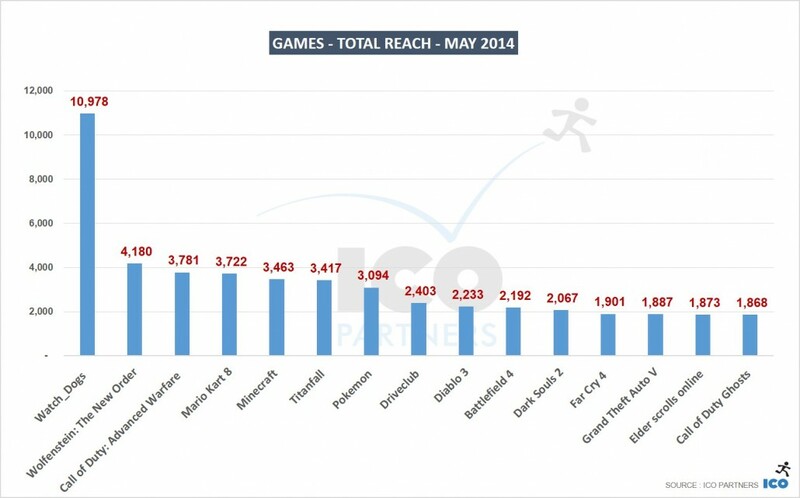 April was the ramp up month for Watch_Dogs and the follow-up for Titanfall. 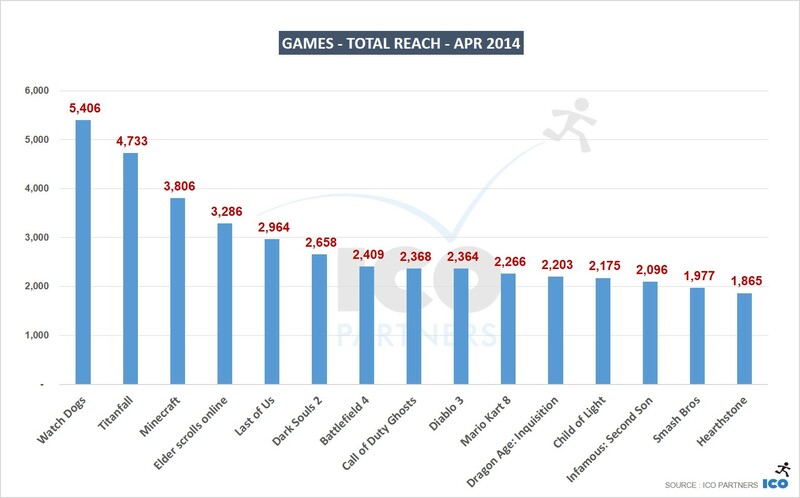 Elder Scrolls Online also had a very strong performance as a follow-up to launch. Watch_Dogs was, predictably, THE launch of the month of May. You can also see the effects of the Wolfenstein release, Mario Kart 8 and the first preview for CoD:AW. 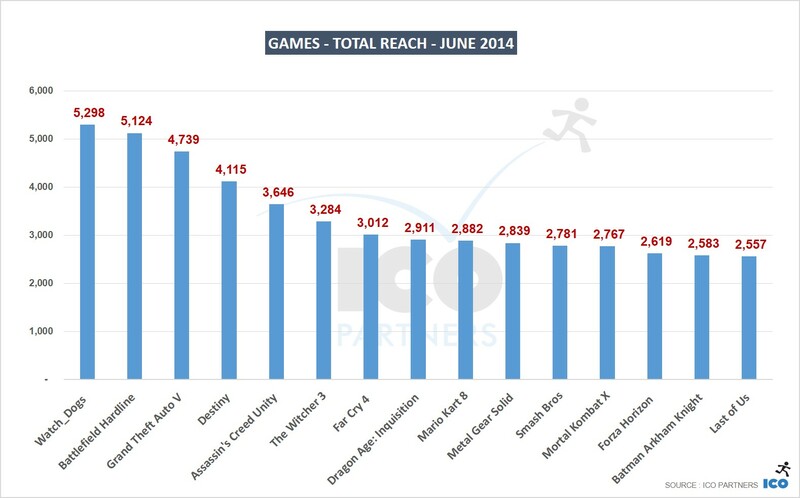 The gap between Playstation 3 and Xbox 360 widened as the month went on. 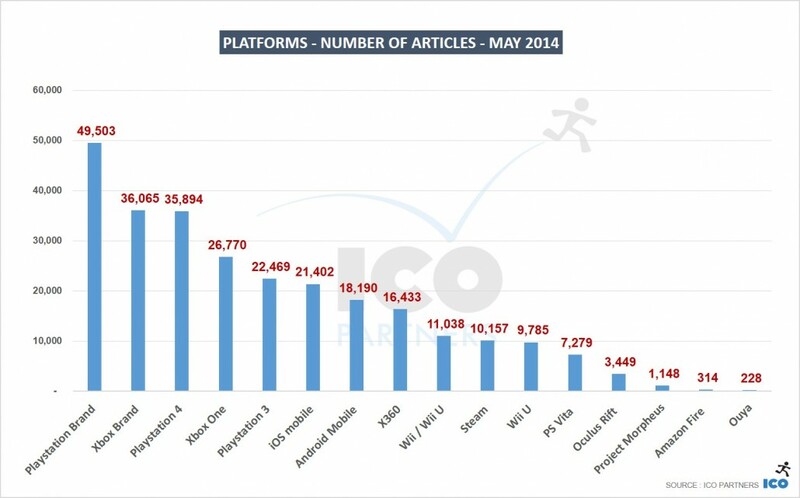 The Wii/Wii U is benefiting significantly from Mario Kart 8. The month of E3 – you can see the impact the event had with four of the top five games getting massive attention during the event. 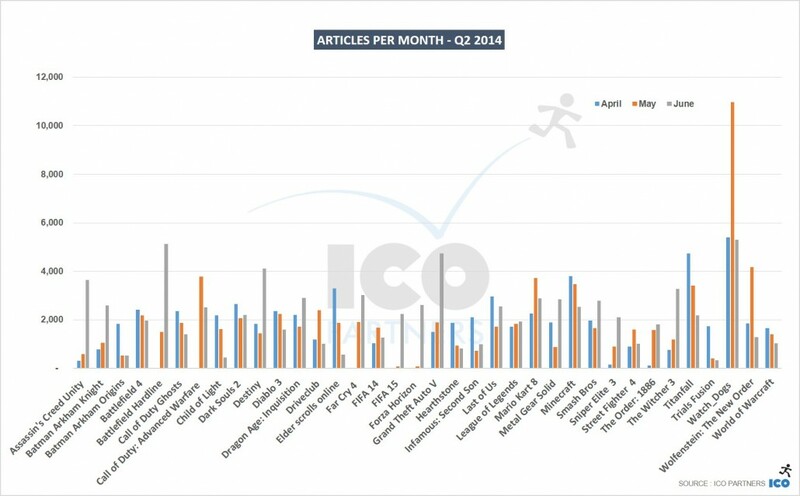 The overall number of articles was also significantly higher than what we saw in the previous months. In a similar way, the extra focus that E3 brings was a majot benefit to consoles. 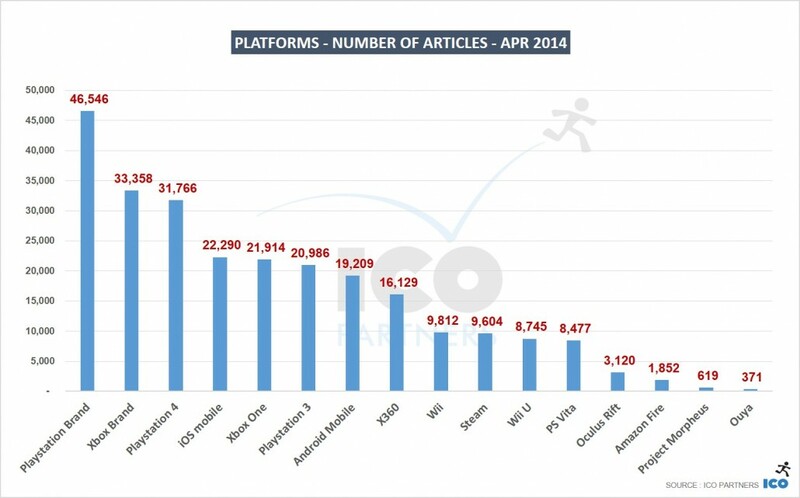 An interesting point to note is the Playstation 4 alone received more mentions than the whole of the Xbox brand for the first time. 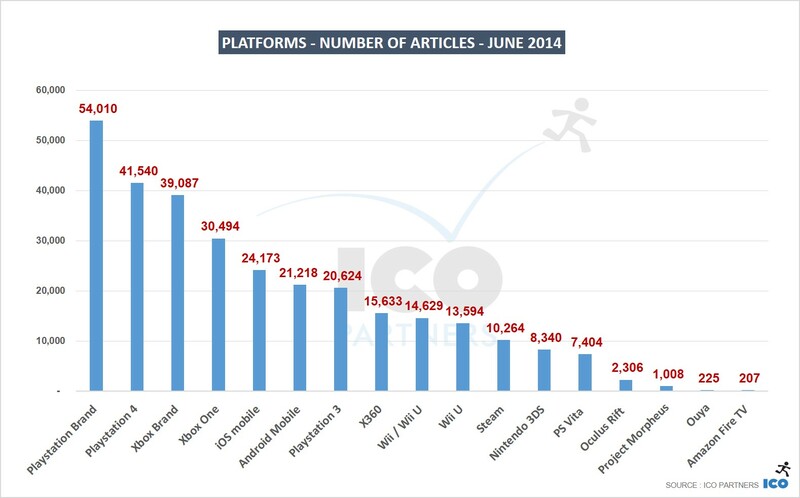 Whenever I look at the data, I find the concentration of articles on so few titles surprising. 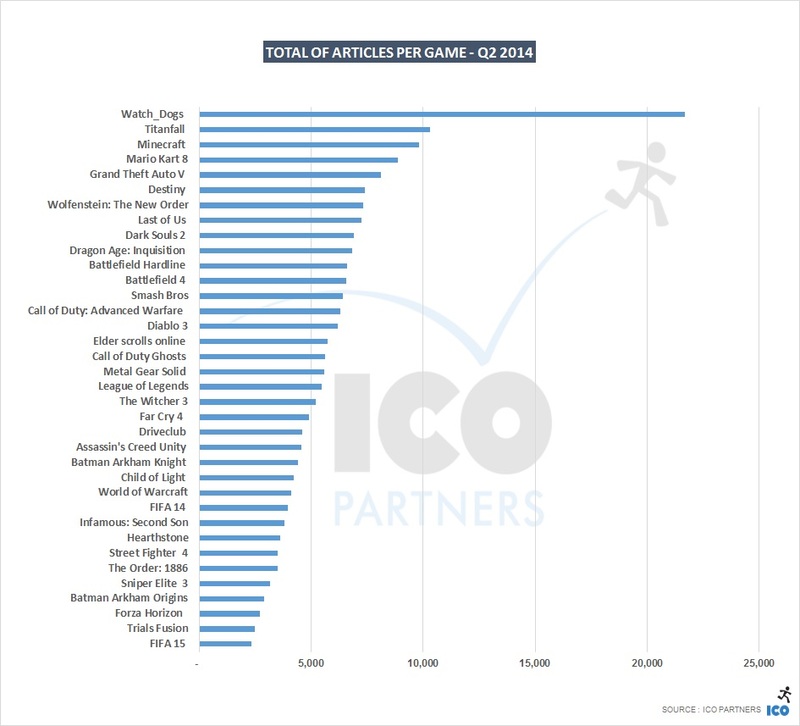 That a single title gets more than twice the amount of coverage than any other games and three times more than every game outwith the top 5 is an interesting look into what the media is focusing on.